Modern writers have assumed that medical institutions have disregarded patients’ experiences of their illness, and have instead seen disease in depersonalised terms as a biological problem to be solved. In this perspective, it was the disease rather than the patient that took primacy. 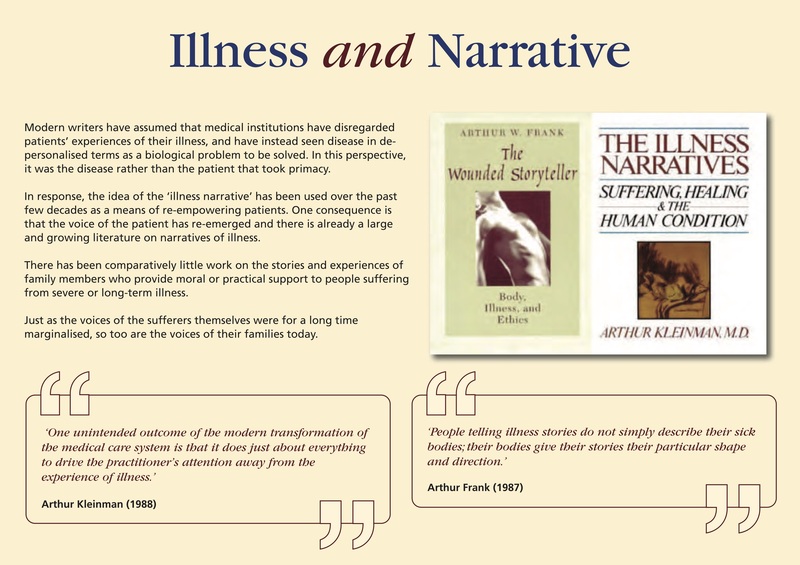 In response, the idea of the ‘illness narrative’ has been used over the past few decades as a means of re-empowering patients. One consequence is that the voice of the patient has re-emerged and there is already a large and growing literature on narratives of illness. There has been comparatively little work on the stories and experiences of family members who provide moral or practical support to people suffering from severe or long-term illness. Just as the voices of the sufferers themselves were for a long time marginalised, so too are the voices of their families today.